I’ve been building online communities since the days of BBS systems. In that time I have come to understand the value of interactions. Whether these interactions are used to create engagement and drive video game sales in a media company, or whether these interactions are harnessed to drive outcomes in an online wellness program, social experiences have become the foundation of product success. Provide clear choices instead of options. Be easier to keep using than stop using. I’ll take you on a data-driven adventure into the origins of the super and the magical. Is this Trapper guy real? Fluxible says: He’s not just real, he’s SUPER real. His name is Trapper and he was born in Alaska… My friends, we could not make this stuff up. Trapper has spent the last several years in the healthcare field, which we think is pretty cool. After all, how often can you say that good design and user experience actually help save lives? We’re sure his whole company moseys about in capes and tights, especially since he used to work in gaming. Trapper was born in Alaska, educated at RIT in New York, seasoned on enterprise IT in Chicago, and burst onto the startup scene in Boston. He appreciates a good bourbon, plays video games when he can, and reads/watches a lot of science fiction. As far as work goes, Trapper is currently the Head of Product at MeYou Health and has over 12 years of direct experience building consumer-facing web products that focus on community and conversation. MeYou Health was founded in 2009 to promote everyday well-being by bringing to market realistic, convenient, immediate, and genuine online consumer health products that encourage small actions and foster the social ties that drive meaningful behavior change. The core product is Daily Challenge, a lightweight well-being intervention that targets health plan and employer populations. Prior to MeYou Health, Trapper was at GamerDNA, a digital gaming media company that derived insights on the gaming community — what gamers are playing and saying in the games space, at any given time. This intelligence was applied to many businesses in social media, online content, and advertising solutions for publishers and brands. 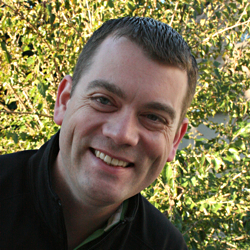 Prior to gamerDNA, Trapper co-founded 360voice.com, an online Xbox gaming community, and pioneered auto-blogging technology to drive new ways of interacting around games using data. As part of that project, he also designed and built a data-driven competitive gaming system for Proctor & Gamble that integrated into the Xbox 360 game console as part of a large media campaign. Trapper also worked in Chicago, IL for Spencer Stuart and Associates for over 8 years, pioneering agile development methods and adoption of Enterprise 2.0 technologies. He now lives in Boston, MA with his wife Maureen, three daughters Hannah, Lucy, Alice, and his son Jack.